RealTime Gaming, a developer of casino games for the online market has announced the release of their latest video slot “God of Wealth”. This new game is based around Asian mythology & culture, all whom play this title are in for some excitement. 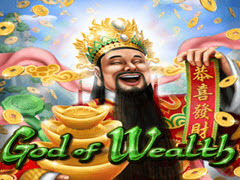 RTG has designed God of Wealth with 5 reels & 25 paylines, featuring an Asian mythology theme which immerses itself in wealth punters will find that this game is not only beautiful but profitable. Behind the reels lies a river that goes on for miles, large mountains and pink blossom flowers shall stand over the river. The reels on the icon have various poker suit icons on the reels as well as Koi Fish, Dragons, Lamps, Asian Men and more. This game also offers free spins, wilds, scatters and a progressive jackpot. This is the only progressive title to be released this month, playing this game could mean for a life altering win to take place. This title is also available in two different formats thanks to it’s HTML5 coding, this slot can be played via mobile devices and desktop platforms as well. It’ll give punters the chance to experience this title whenever they want, wherever they want. Playing this title is easy as buying a lottery ticket, find a casino you like that offers the RTG Platform and register with them. Full Tilt, an online betting site previously named Full Tilt Poker has recently gone under new management. Amaya Gaming, a Canadian based gambling firm purchased Full Tilt Poker & PokerStars for $4.9 Billion. This has resulted in some serious changes to Full Tilt Poker, the first major change was changing the name of the casino to simply “Full Tilt”. Now there are new software’s being loaded onto the casino, one of those software’s is Evolution Gaming. Full Tilt punters will now be able to access live dealer casino games developed by Evolution Gaming. Some of the new games that you will be able to experience includes 3 different live blackjack tables, live roulette, live Baccarat and live online poker. Regardless of which table game you prefer, Full Tilt now has it available for you to experience. The dealers will be broadcasting out of Riga Studios which is owned by Evolution Gaming. There is a total of fifty different dealers that are spread out across the many different games being played at once. Evolution Gaming’s platform is compatible with Windows, Mac, Android and iOS Platforms. You will have to sign up with Full Tilt in order to get access to their new live dealer casino games. Just remember that you can play these games while you’re at home or you can play these games while you are on the go as each one of these new live dealer casino games are being offered on Full Tilt’s mobile casino as well. Every year the Video Game Industry looks forward to the E3 Gaming Conference, which is the world largest convention for video games. It is at E3 where major companies such as Sony, Microsoft and Nintendo reveal their newest video games or consoles. One press conference that the majority of gamers look forward to is the one held by Sony. Sony announced recently that they will be holding their press conference on June 9th at 6Pm at the E3 Gaming Conference. They will reveal a new free to play MMO that boasts next generation visuals, gameplay and experiences. Sony also noted that they will have exclusive footage for Destiny as well as 1846. We are sure that Sony have some secrets up their sleeves that will shock us all as it is a long time until the press conference is to be held and until then we can only speculate as to what Sony will reveal this year. As of right now you can purchase the Playstation 4 from Sony as well as exclusive games such as inFAMOUS Second Son. This month has brought multiple progressive jackpot wins already and were not even half way through the month. One of those progressive jackpot wins was triggered on Gladiator, a video slot developed by Playtech. The video slot is based around the cult blockbuster movie with Russell Crowe, Gladiator. This punter was able to win a total of $1,776,373 while spinning the reels on this slot. This marks the third time that the progressive jackpot on Gladiator has been triggered. Over the course of this slots operation it has rewarded three punters with a life changing amount of money. The first jackpot ever won on this slot was worth $868,266 while the second jackpot won on Gladiator was worth $3,317,895. This means this week’s lucky Gladiator punter was able to break even, landing in between both of these jackpot amounts. Gala Casino, an online gambling operator announced this week that they’ve released three new slots for their casino. Two of these slots are based around Marvel comic book properties which includes Blade and Ghost Rider. The third slot which has been released for both Gala Casinos PC and Mobile Platform is Nest Egg. Blade is the sequel to the original blade slot. This version of blade is a 5 reel, 50 payline slot designed around the demonic arts. While playing this slot you can trigger multipliers and a feature that allows for six winning combinations to be rewarded through one spin. While playing this slot you come across bullets, needles, vampires, guns, the games logo and themed poker symbols. Ghost rider is the second marvel themed slot to be released by Gala Casino this week. While spinning the reels you see the Ghost Rider come to life. The Riders motorcycle lights up into flames and drives across the reels. While playing this slot you are met with wild, scatters and a thrilling gameplay experience. Nest Egg is the third slot to be released by Gala Casino this week. The game is available for both the PC and Mobile Platforms that Gala Casino has to offer. This slot is based around the outdoors. You will see a forest, animals and more while spinning the reels at this video slot. Each one of these games are now available for real and free money play at Gala Casino. Earlier this month Paddy Power was forced to take down an advertisement. This order came from the United Kingdom Advertising Standards Authority, Paddy Power was forced to remove this advertisement due to the ad revolving around the Oscar Pistorious trail. 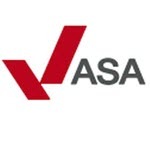 The ruling to force Paddy Power to remove them ad came into effect after the ASA received 5,200 complaints about the online advertisement. In the advertisement Paddy Power headlines that if Oscar Pistorious walks free players will get their money back. The print advertisement offered players a unique promotion that allowed for them to bet on Oscar Pistorious, players had to wager if this man would walk free or be sent to prison. Paddy Power planned to return all losing bets to players if he was found not guilty.